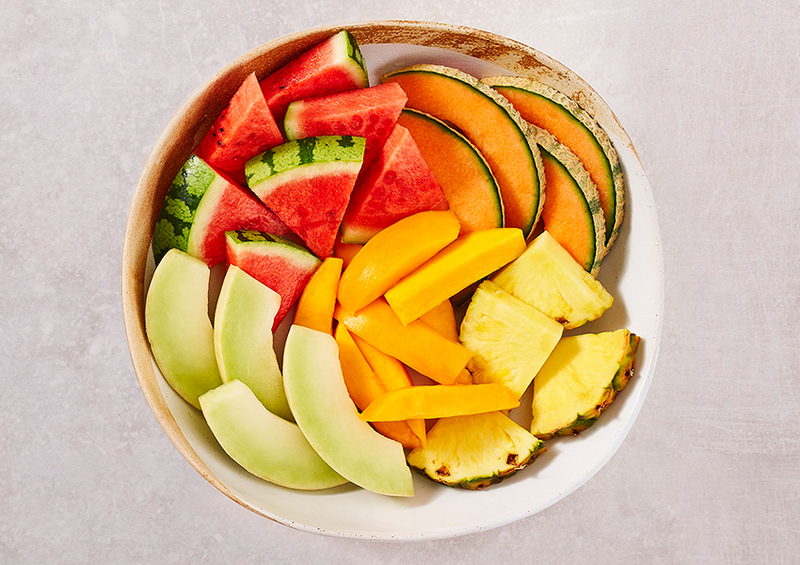 Wedges of skin-on melon, pineapple, watermelon and mango sure to delight any crowd. Melon (41%), Watermelon (27%), Pineapple (19%), Mango (13%). Strawberry (44%), Grape (33%), Blueberry (17%), Raspberry (6%). Skin on melon, watermelon, pineapple with mango. Safety: Although every care has been taken to remove all seeds and stone, some may remain. Packed in the United Kingdom.